The first (sold out) Monday special day trip to Skomer of 2016 proved to be a great day, despite the fairly stiff south-easterly winds and occasional light rain. The good thing was that we got there, and we got off again! 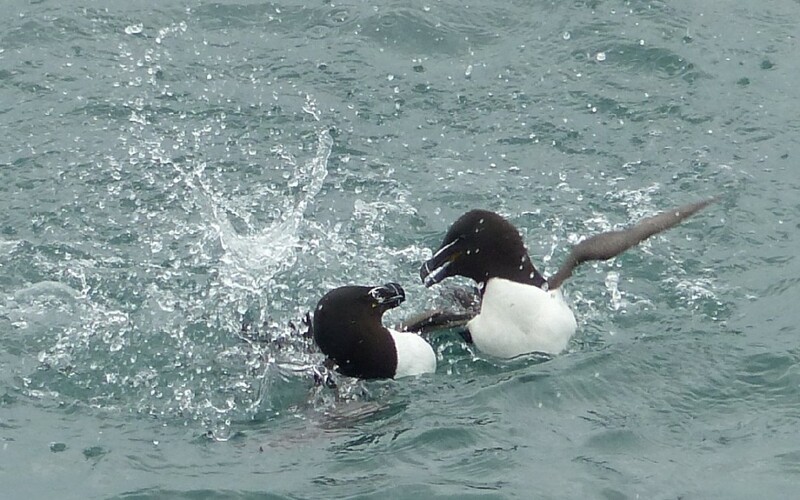 An impressive 45 species were recorded, including Short-eared Owl, Chough, Peregrine and of course the trio of auks – Puffin, Guillemot & Razorbill. Migrants included a brief Whinchat, a Spotted Flycatcher and a handful of warblers including Blackcap, Sedge Warbler & Whitethroat. Throw in several Harbour Porpoise on the way over, and a bull Grey Seal chilling out in the Skomer RIB – a good day was had by all! A small selection of photos can be seen in the Galleries section of the web-site. Looking forward to the 2nd trip on 23rd May.